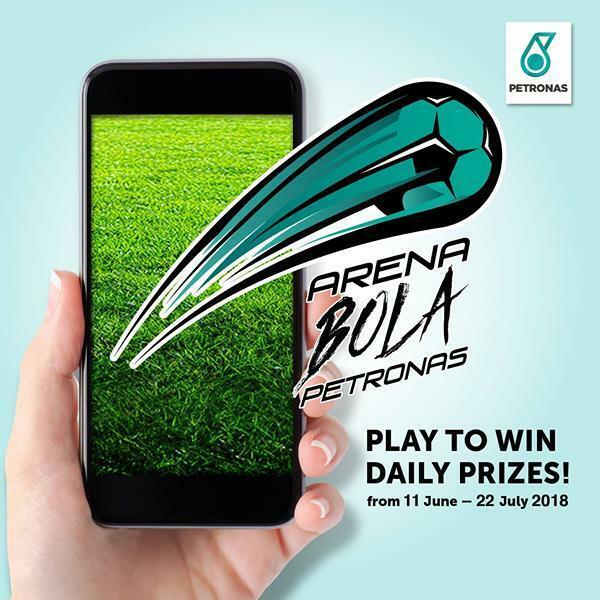 Play The Arena Bola PETRONAS Game To Win Daily Prizes! (Contest has ended) Play The Arena Bola PETRONAS Game To Win Daily Prizes! Football fever is here! Join in on the fun and participate in Arena Bola PETRONAS from 11 June – 22 July to stand a chance to win Adidas shopping vouchers worth RM3,000! 1. Fuel up with RM40 PETRONAS Primax or buy 2 x Football Combos. 2. Whatsapp ‘HI PETRONAS’ to 016-341 8807. 3. Follow the steps sent to your phone to upload an image of your receipt. 4. Swipe Mesra card for 3x more entries. Consolation Prizes: 250 winners x 6 weeks (1,500 total) : RM100.00 worth of free petrol each (in the form of PETRONAS Gift Card).